Independent tour operator, The Gambia Experience reports strong sales for winter sun holidays to The Gambia - following its November 2013 – October 2014 brochure release in June - with Gatwick bookings up 14% year on year. In addition to prices being held or reduced at many of its featured hotels, The Gambia Experience is offering winter booking incentives, such as a £150 per booking saving on holidays booked by the end of this month (September 2013), for travel January – April 2014, excluding February half term. This saving applies to all of the specialist’s two, three and four grade hotel holidays, based on twin occupancy with flights departing from London Gatwick. 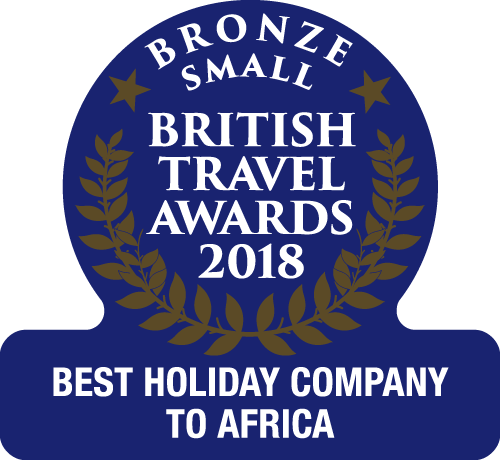 The Gambia Experience is pleased to announce that the 3.5 grade Kombo Beach Hotel (boasting a Travelife Gold Award for its commitment to sustainable tourism www.gambia.co.uk/kombo) will re-open earlier this winter season on 15 October. Holidays at Kombo Beach Hotel start from £499pp (selected departures in October or November) and including breakfast, Gatwick flights and transfers, based on two sharing. All-inclusive holidays in The Gambia continue to prove popular and excellent value for money with 7 nights all-inclusive at the 2.5 grade Palma Rima Hotel in South Kotu starting from £679 per person this November, inclusive of flights and transfers. There is still time to book one of the few remaining places on Chris Packham’s Birdwatching Tours taking place in February 2014. There is a choice of three days by the coast, three days based at The Mandina Lodges at Makasutu, or joining both locations for a week of bird watching and photography. www.gambia.co.uk/chrispackham . The Gambia Experience Luxury Collection, largely exclusive to the tour operator, continues to be the strongest seller for the West African specialist. A new addition for 2013/14 is Leo’s Beach Hotel www.gambia.co.uk/leos, a newly built contemporary, boutique-style property situated on a cliff top in Brufut with views across the ocean. Housing just six suites with an adult-only policy, Leo’s is a perfect choice for couples and honeymooners. Holidays start from £869pp including flights and transfers. The Gambia Experience can now also offer the choice of nine lodges at the award-winning Mandina Lodges at Makasutu, part of its Unique Collection of properties. In addition to the Stilted Lodge, four Floating Lodges and three Jungle Lodges, there is now the new ‘Mangrove Lodge’, named as it is situated by one of the inlets amongst the mangroves. The Gambia Experience continues to offer the widest range of UK direct flights to Banjul (The Gambia) with twice weekly Monarch Airlines departures from Gatwick during the winter, as well as Premium Class upgraded flying. www.gambia.co.uk/premium Regional departures are offered from Birmingham and Manchester.